of people that they are currently doing too little to actively prepare for a comfortable retirement. Commonly people going to start a serious thought to retirement planning only in their late 40s or early 50s. Before that they are take care of a different goals to take care at different life stage. But my sense is that an individual must start in early 20s or 30s, so one can start with small amount and could achieve big retirement corpus easily. If you don’t determine proper planning, the retirement period thus becomes a terrible for individuals. This is more numerous in Indian set-up as retired parents continue to provide financial support to their grown-up working children by funding their marriage, buying a new home. They end up becoming financially dependent on their children in the retirement and being realized only in hindsight. Some factors further emphasize a compelling need of early retirement planning for today’s young generation. Inflation: The risk of inflation reduces our purchasing power and erodes the investment corpus for real. Thus, a retiree will buy less number of things with the same amount compare to the present. For a retirement corpus accumulated on late planning, the inflation risk is even greater. No social Security: The younger generation today lacks such assurance in private jobs and their job security is on the wane. Pension reforms in the India are also long overdue. The younger generation faces the challenge of building a corpus without any government security. Increase in life Expectancy: Current scenario of average life expectancy has increased very well and the younger generation nowadays wants to retire early. 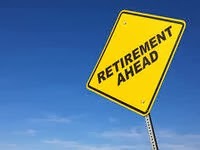 A working individual decided to retire at 55 and his life expectancy is 85. He would require a retirement corpus which would sustain him for 30 years. It is require quite a big retirement figure to ponder over. Spiraling health costs: The average costs for any major surgeries has risen by at least 50 percent in last 3 years. Even one major surgery can easily prove to a big exhaust on retirement corpus built painstakingly during the productive working age. If the retirement corpus and health insurance cover is inadequate, the situation can become quite uncertain. Change in Life style: Overall situation is too much changed, electronics items like TV, PC, Cell phones becomes part of our life style. Due to high living standard, it is must to create a big retirement corpus which can maintain your life style as on today. Breakdown of Joint Family: It is remarkable that majority of families divided in small family from joint family due to some circumstances. And this situation will increased day by day, so it must be your vision to keep ready yourself for future with retirement planning. Finally don't take it lightly before you got late for your Retirement Planning.